/Where in the UK you can buy nice jewelry china? 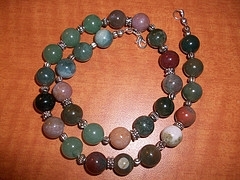 I saw some nice jade beads and bracelets on eBay but do not want to pay to be sent China. I want to buy in the UK based in London pref. Any ideas?